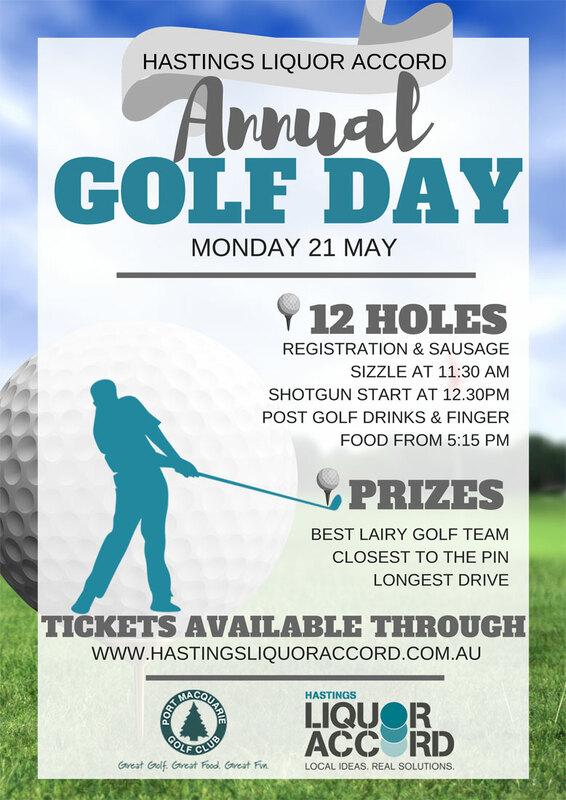 Hastings Liquor Accord’s biggest fundraiser of the year; the HLA Golf Day is on Monday the 21st of May, 2018. Limited teams & tickets available for this great day that includes a light lunch, drinks both on the course & back at the Clubhouse. Limited carts available and can be hired directly through the Club Pro Shop. To promote the “fun” in the day, we will be playing a 4 ball Ambrose and have loads of novelty holes and prizes including best dressed “lairy” team. Sponsorship – The sponsorship price also includes a round for 4 players, motorised carts & the opportunity to display your product or service on an allocated hole. Can’t play? Why not contribute with a prize or donation. All money raised will go towards liquor accord campaigns to promote responsibility with alcohol and safe venues across the Hastings area.